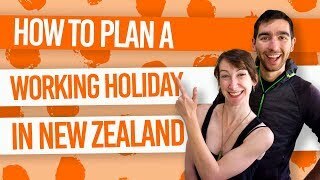 In the adventure capital of the North Island, there are some cool and quite quirky places to stay at an affordable price. After a day of doing the well-renowned Taupo skydive, a bungy jump over the Waikato river, or a mammoth hike on the Tongariro Crossing, it is important to find a hostel where you can relax. Additionally, the hostel staff can book your next activity and you are never too far from Taupo’s i-SITE. With so much to do, it’s likely that you’ll want to stay in Taupo for at least a couple of days. 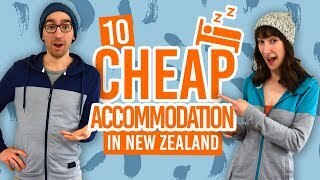 Make your stay great by choosing one of the best backpacker hostels in Taupo! So here are the backpacker hostels we love the most on the shore of New Zealand’s biggest lake. For more things to do in Taupo, take a look at Taupo – Guide for Backpackers. Urban Retreat’s advantages lie in its spacious common area, which gives you the feeling of being outside without having to be outside! Natural light fills the wooden interior room. Alternatively, just sit outside… The hostel has a onsite bar with $4 happy hour at 7pm and cycle hire. They also feature in our Cheap Eats in Taupo. Taupo’s upmarket hostel has great lake views and a quiet location in town. Make use of the free spa pool and free WiFi. Breakfast is also free during the shoulder and off-season. Purpose-built in a convenient central location, Base makes an ideal, well, base! Many of their dorm rooms have ensuite. Plus, it is close to Taupo’s bars and has some drink deals at its partner bar, Element. Find out more about New Zealand’s hostel networks in BBH, YHA, BASE or NOMADS: What is the Best Hostel Network? One of Taupo’s more recent hostel additions, Haka Lodge aims for more the flashpacker experience with free spa pool and free WiFi. Whether you’re chilling inside or ourside, you’re sure to feel right at home with its flashy decor and decking areas. Berkenhoff or “B’hoff” is a hostel full of character with mural paintings, a swimming pool in the backyard and its very own backpacker bar, The Chain. Get yourself a $5 beer or a $6.50 BBQ meal for those days that you just can’t be bothered. Rainbow Lodge provides those much needed comforts in both summer and winter. Enjoy a BBQ on the deck on a summer’s evening or take advantage of the underfloor heating and the sauna during the cold winter. Did you know that Rainbow Lodge was the first hostel in New Zealand with a mixed dorm? YHA members will benefit from the YHA discount at Finlay Jacks. The spacious hostel offers a more flashpacker experience in Taupo. Relax in the lounge with video games, Netflix and free WiFi for those quieter nights. A quieter alternative in Taupo is Silver Fern Lodge. It is a motel with some dorm rooms. Not so much as backpacker atmosphere but a quiet and clean place to stay. Check Silver Fern Lodge out! Check out these articles about Taupo!